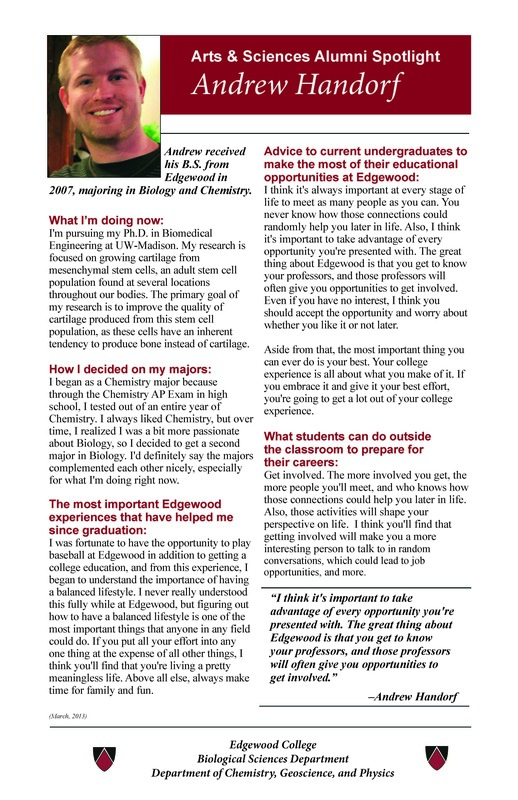 Welcome to the Department of Chemistry, Geoscience, and Physics at Edgewood College! Our department offers degree programs in chemistry, biochemistry, physics and geoscience. 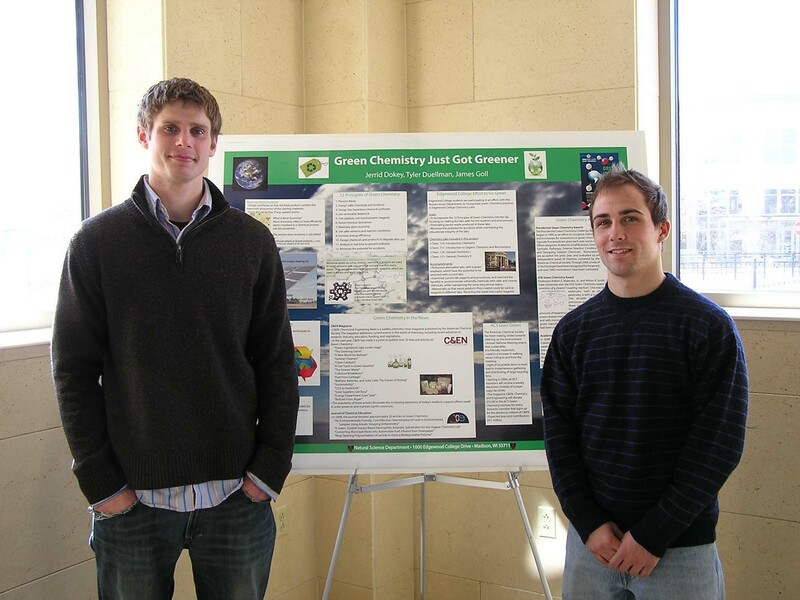 We’ve developed partnerships across these related disciplines to create a variety of innovative collaborative courses, including one for both chemistry and physics in which students focus on renewable energy and a 3 + 4 chemistry major that allows students to obtain a degree while completing the first year of pharmacy school. Faculty dedicated to teaching and learning will work closely with you to ensure that you are prepared to meet your educational goals. Our students also have many opportunities to learn outside the classroom: students have been co-authors with faculty on peer-reviewed publications and assisted faculty in a variety of research projects. Many students have also attended professional conferences around the country. Our graduates flourish beyond college, going on to work in private and government laboratories, engineering, pharmaceutical development and sales, biotechnology, quality control, environmental and forensic science, toxicology and many other areas. A good number also go on to teach science themselves at all educational levels. Our location in Madison, WI, affords you great access to many different cultural, social, and professional opportunities. Guest speakers from local hospitals, medical facilities and biotechnology companies regularly come to campus to address our classes, and many of our students find invaluable internships at these same organizations. Edgewood College provides the unbeatable combination of a rigorous yet flexible education earned at a beautiful lakeside location within a vibrant city. Please feel free to contact me with any questions. Thank you for visiting. The mission of the Department of Chemistry, Geoscience, and Physics at Edgewood College is to prepare all our students to be well-informed citizens and leaders in a world that is increasingly shaped by science and technology. Based on Sinsinawa Dominican values, we aim to instill in all our students an understanding of, and life-long enthusiasm for, the process of scientific discovery and a commitment to the responsible application of science. We are committed to innovation and excellence in our programs, and to preparing our majors to be successful in science-related careers that are vital for meeting future local, national, and global needs.